Whether you've followed Jesus for a long time or are just starting to explore faith, we all sometimes need some help figuring out where to get started. Here's some resources we think are great! You may not know this, but as a part of 2Rivers Church, you free access to the biggest video Bible study library in the world! Instantly stream biblical teaching, bible studies, and faith-focused kids shows! There are over 10,000 videos including resources from over 150 leading Christian publishers and ministries. It's one of our favorite resources! The Bible app is on most smart devices. There's tons of translations so you can read the Bible in language that is easy to understand. We suggest using the New International Version (NIV) or New Living Translation (NLT). 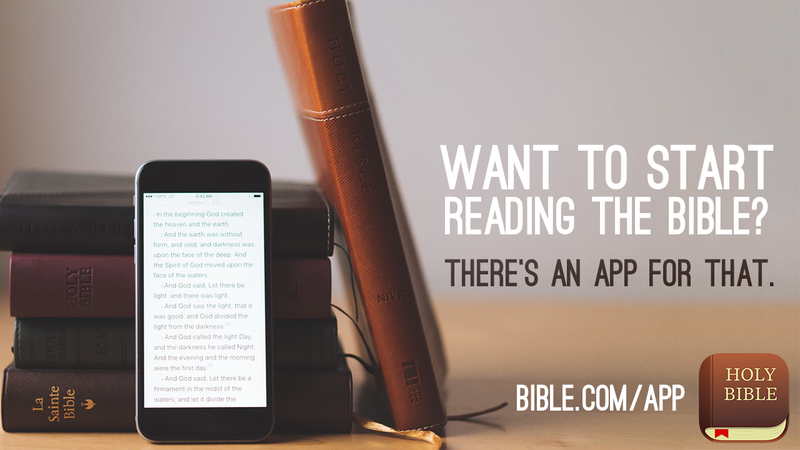 Plus there's lots of reading plans to choose from that will help guide you through Scripture. Never read the Bible before? These reading plans are a great place to start! ​understanding the Bible and hearing from God! If you didn't catch our SOAP series, you can watch it here. This plan has less reading and may be better if you're new to daily bible reading or if your schedule is super hectic. Let's get in the Word every day! This plan is a lot more reading and takes you through the Old Testament once and the New Testament twice in a year. If you'd rather follow along with a printed copy, click the links below to download. The Bible Project is a great addition to any bible study. The narrator goes through why a book of the Bible is written and who it was written to and gives all sorts of great context to your reading. They've got resources on how to read the Bible as well. Plus it does all this in a visual way! You gotta check it out! You can find them on Youtube or Rightnow Media. They also have a great Bible reading Plan through the New Testament that incorporates their videos. Check it out here. Music moves us and inspires us. Beyond that, there's something meaningful about learning how to worship God through worship through out our whole week and not just on Sunday mornings. So, check out our 2Rivers Playlist with songs we're doing every week! Take me to the 2Rivers Spotify playlist! © 2RIVERS CHURCH 2016-2017. ALL RIGHTS RESERVED.